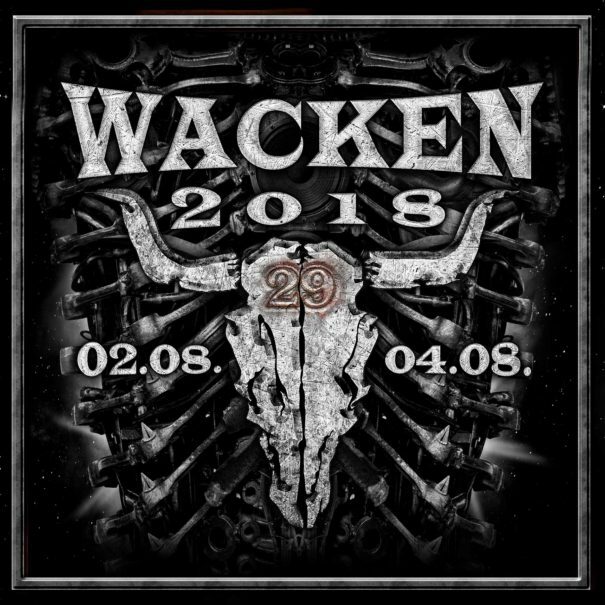 Wacken Open Air 2018 will take place in Wacken, Germany on August 2-4, 2018. Judas Priest, Dimmu Borgir and Nightwish are among the bands that will perform at Wacken Open Air 2018 festival. Ruhrpott Metal Meeting 2017 will take place at Turbinenhalle in Oberhausen, Germany on December 8-9, 2017. 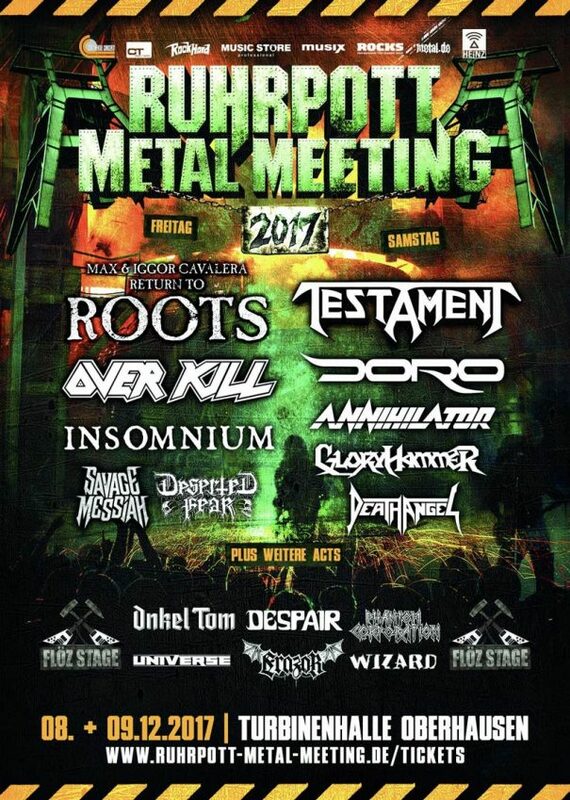 Testament, Max & Iggor Cavalera and Doro are among the bands that will perform at Ruhrpott Metal Meeting 2017 festival. Christmas Bash 2017 will take place at Eventzentrum Geiselwind in Geiselwind, Germany on December 01-02, 2017. 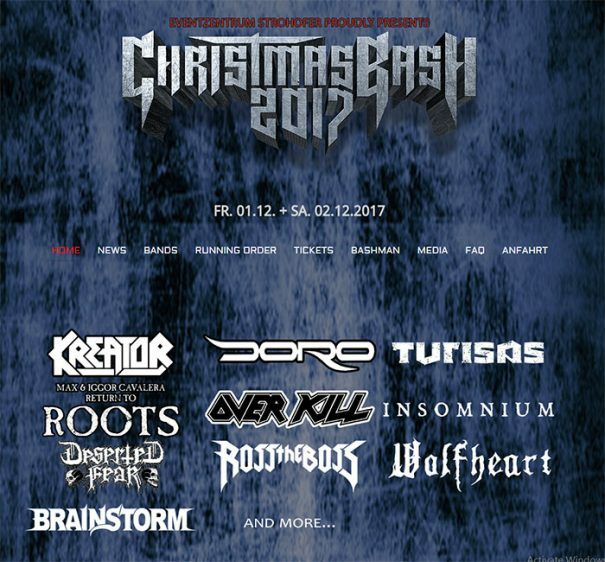 Kreator, Max & Iggor Return To The Roots and Turisas are among the bands that will perform at Christmas Bash 2017 festival. Brutal Assault Festival 2017 will take place in Fortress Josefov, Czech Republic on August 9-12, 2017. 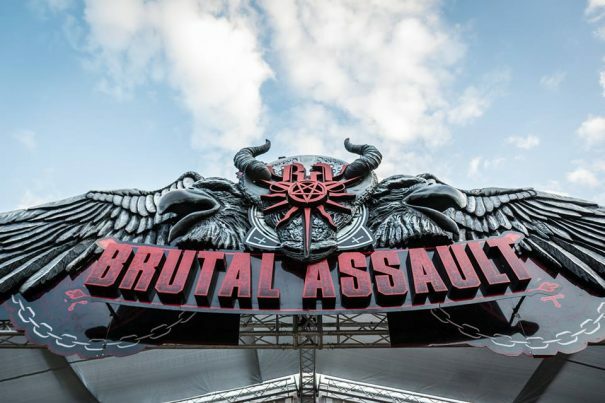 Opeth, Morbid Angel and Emperor are among the bands that will perform at Brutal Assault Festival 2017. 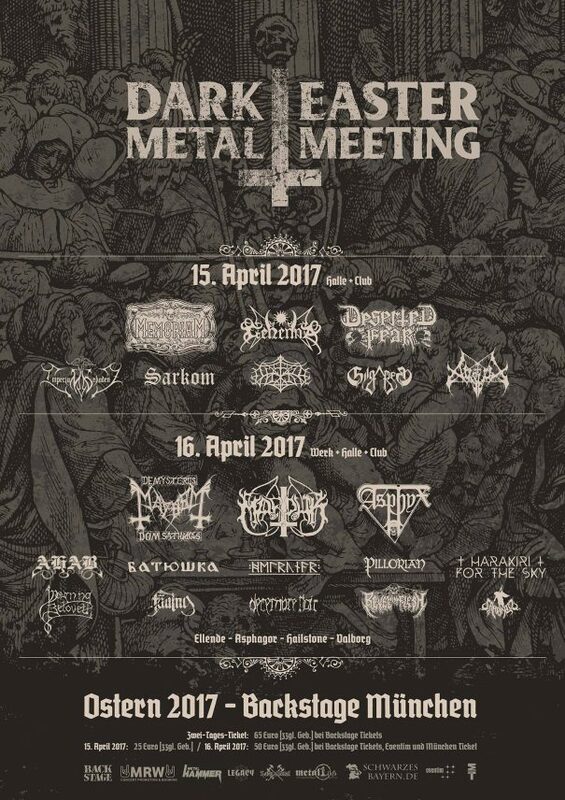 Dark Easter Metal Meeting 2017 will take place at Backstage in Munchen, Germany on April 15-16, 2017. 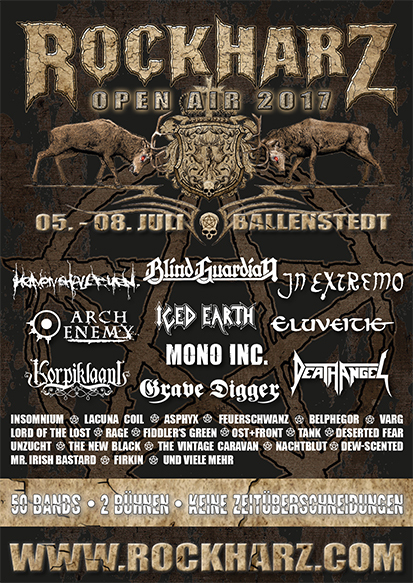 Mayhem, Marduk and Asphyx are among the bands that will perform at Dark Easter Metal Meeting 2017 festival. With Full Force 2016 will take place in Löbnitz, Germany on July 1-3, 2016. Amon Amarth, Behemoth and Borknagar are among the bands that will perform at the With Full Force 2016 festival. Party.San Metal Open Air 2015 will take place in Schlotheim, Flugplatz Obermehler, Germany on August 06-08, 2015. Cannibal Corpse, Bloodbath and Krisiun are among the bands that will perform at the Party.San Metal Open Air 2015 festival. Out & Loud Festival will take place in Geiselwind, Germany on June 04-06, 2015. Testament, Arch Enemy and Helloween are among the bands that will perform at the Out & Loud Festival 2015 festival. Summer Breeze will take place in Dinkelsbühl, Germany on August 13-15, 2015. Cannibal Corpse, Kreator and Venom are among the bands that will perform at the Summer Breeze 2015 festival. Party.San Open Air will take place at the Airfield Obermehler in 99994 Schlotheim, Germany on August 08-11, 2013. Venom, Destruction and Dying Fetus are among the bands that will perform at the Party.San Open Air 2013 festival.